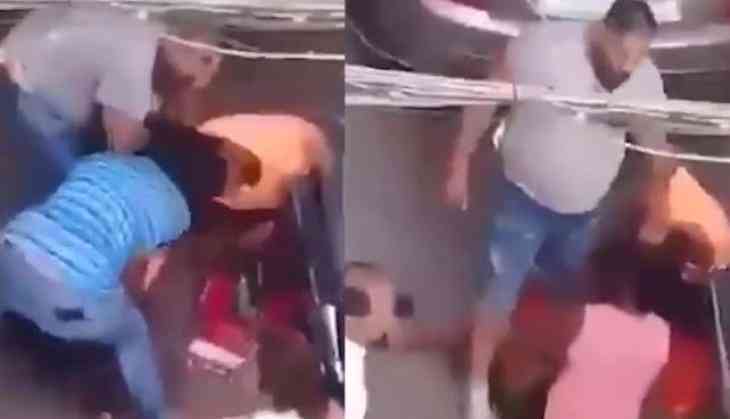 A video clip of two Kenyan women has been captured by the passers where it is seen they are being assaulted by a Lebanese Army official in Bourj Hammoud. In the video which went viral, a man in civilian clothing is seen standing next to two women thrashing and holding them by the hair. He proceeds to rain blows on the screaming women as a mob joins in beating the duo. According to The Daily Star, the assaulting women lasted for over 15 minutes before the police intervened. With the video’s circulation, the Lebanese Army issued a clarification denying details of the reports while revealing that the said incident occurred on June 17th. “The two women who were drunk assaulted an army member who was with his wife and hit him with a bottle on his head. This prompted one of the civilians (present at the scene) to interfere and hit the two women,” according to the statement read. The Army further informed that security agencies who were investigating the matter and the civilian seen assaulting the women was detained by Military Police.